Department of Art | FSU Art Major Jessica Wright BA '14 Interning with Impulse Design Co.
Home » FSU Art Major Jessica Wright BA '14 Interning with Impulse Design Co.
FSU Art Major Jessica Wright BA '14 Interning with Impulse Design Co. 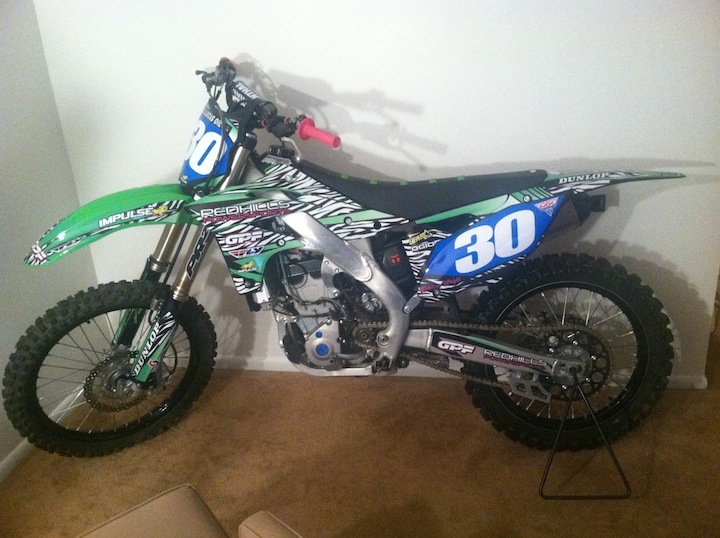 I am currently interning for a motocross graphics company called Impulse Design Co located in Williamstown, NJ. So far I have worked on websites, graphics for dirtbikes, T-shirt designs and logos for various companies. I have also done administrative work like answering phone calls and communicating with clients through email. 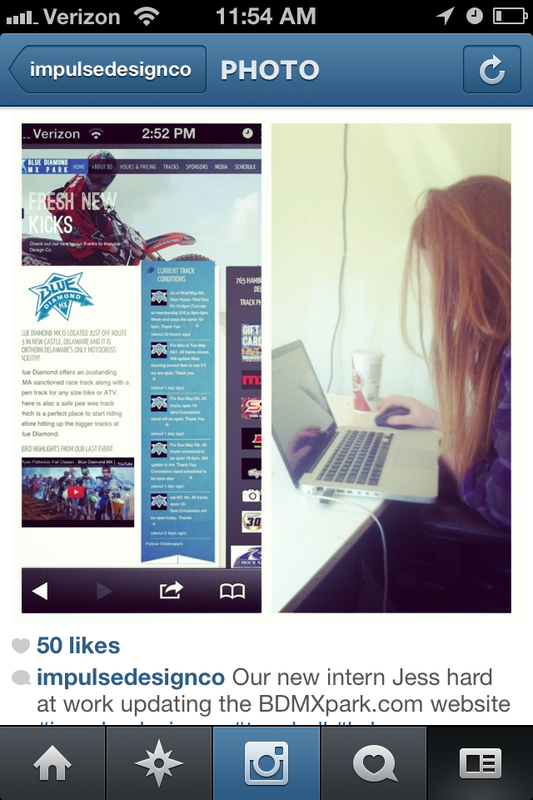 I am also in charge of maintaining social network accounts for Farren Racing, a motocross race team. I keep track of their Instagram, Twitter, and Facebook fan page as well as keeping their website up to date. For the Farren Racing website I have created rider profiles, modifications to the home page, and a complete list of sponsors with links attached. I have made layout changes to the Impulse Design Co site as well as the site for Blue Diamond MX Park. I have learned a lot more about using Illustrator since the quality of the graphics turn out better when made in vector form. I mainly used Photoshop before this internship, but now find Illustrator to be just as useful. I have also learned a lot about the printers and all the work that goes into making high quality stickers. With the variety of tasks that I am assigned my typical 9 to 5 day always varies. My sister is a professional motocross racer so my prior knowledge in the sport and design experience from my classes have helped me understand the process that goes into making the graphics for the bikes. I am really enjoying working for a smaller company that allows for me to work on a broad arrangement of projects. I find myself to be very invested and interested in the work that I’m doing and am very glad that I decided to take this internship. I feel that this internship has helped me get hands on experience with graphic skills that are implemented in the real world. I recommend this internship to anyone with an interest in motocross.